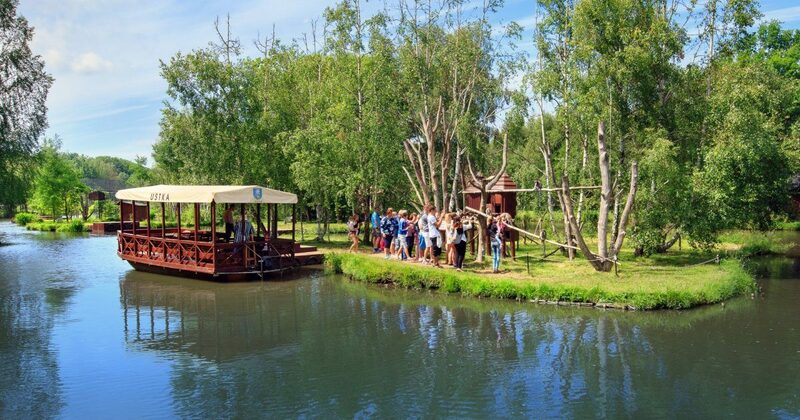 In Dolina Charlotty you will find many interesting attractions: a Zoo with the Land of Fairy Tales, Water Safari Zoo, Seal Center, kayaks and pedal boats, fishing, horse rides, playground, volleyball court, inflatables. In the very hotel we have prepared many facilities for children and their parents, including two play rooms and a games room. Our zoological garden is inhabited by many species of the fauna world - both well-known from Polish forests and imported from overseas countries. This attraction is located inside the area of ​​the Charlotta Zoo where our Captain at the seafront invites you to the water Safari ZOO, a fantastic boat ride that takes participants on a trip around the world. Our thematic islands: Africa, South America and Australia will show you many interesting facts and the cruise will be crowned with a mooring on the island of lemurs, which is inhabited by a Madagascar monkey: King Julian and his cheerful band. In our seal center, one of the largest in Poland there are currently 5 male gray Baltic seals (Halichoerus grypus). Our kiss loving animals have 3 pools with a total area of ​​1500m² and a volume of almost 3 million liters of water. In the Land of Fairy Tales, every step you can encounter characters you know and remember from your beloved childhood books. The inspiration for creating this extraordinary place were fairy tales of great writers: Jan Christian Andersen, Grimm brothers, Maria Konopnicka, Aleksander Pushkin, Carl Collodi. Residents of our stable - "Pod Żelazną Podkowa" - are half-bread, Wielkopolska, Hutsul, cold-blooded horses and ponies. We professionally care for all of them. 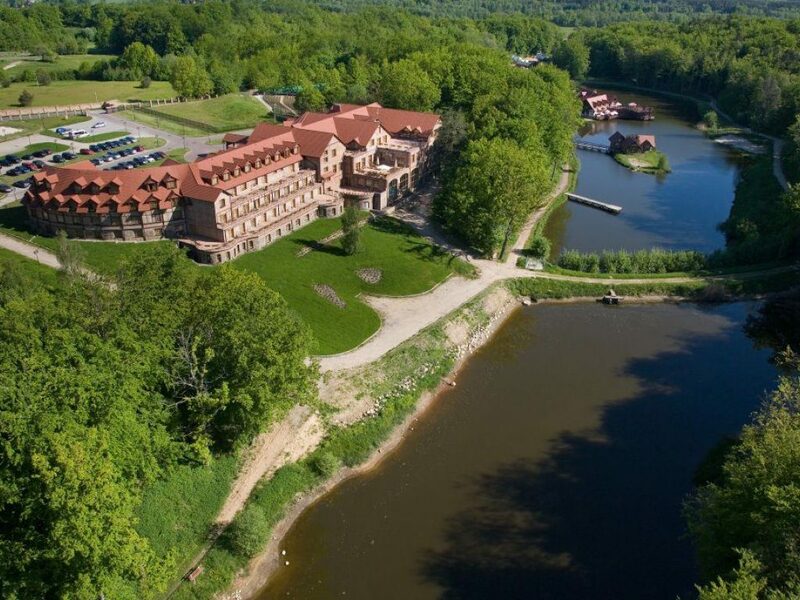 The picturesque Lake Zamełowskie offers an opportunity to try a wide range of water sports and rest in the heart of nature. Water bikes and kayaks are available for the guests. Breathtaking views accompany our guests during canoeing or boat trips. The unique location of Dolina means that among our guests there is no shortage of fishing enthusiasts. One of the natural borders of the valley is the 500-meter high bank of the Słupia River, famous for the richness of salmonids. We also created a special fishery at Dolina where you can easily catch carp, eel, sturgeon or pike. At the disposal of our guests there are two professional bowling lanes with a computer system that manages the course of the game. We also provide footwear for the game. The bowling alley and pool table are located at the Rock Pub. In the Zoo all children can have fun on the large playground, on the sand straight from the beach. In front of the hotel, we invite you to enjoy a smaller playground with a volleyball court. In the games room, next to the Rock Pub, children and their parents can play simulators, electronic fishery, basketball, ride a pony or play a game of traditional table football.